This new teaser page on the Google Store went live with an Avengers Endgame promotion for new Playmoji AR Stickers that were announced earlier this morning. Leveraging that superhero theme throughout, Google says “Help is on the way.” The “G” logo on this site is a Thanos shade of purple and very similarly styled to artwork for the upcoming movie in the Marvel franchise. The Samsung Galaxy S10 wallpapers are now available for download, thanks to the good folks at XDA. There appears to be six wallpapers in total all the same except for the colors used. As everyone has noticed, each wallpaper is dark in the top right corner. This isn’t a mistake, it’s to hide the punch holes for the front facing cameras. Feel free to download by following the link below. 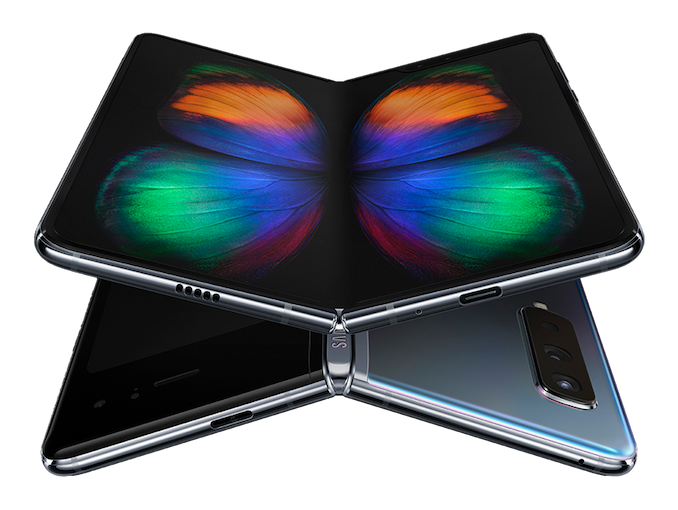 The Galaxy Fold sports two screens a small 4.6 inch cover display on the front, a main 7.3 inch screen when opened. The primary OLED screen has a ratio of 4.2:3 and is rated at hundreds of thousands of folds before it will wear out. There are two internal batteries, and a total of six cameras. The internal specifications are similar to that of other 2019 flagship phones. The Samsung Fold has 12GB of RAM, 7mm processor, 512GB of internal storage, and a total battery capacity of 4,380mAh. The Galaxy Fold will be sold in both LTE and 5G models, with a starting price of $1,980. As expected Samsung's first foldable phone will be a pricey concept, but that's... one hella price tag. Retail availability starts on April 26th. Samsung is no stranger to true wireless earbuds, but its first pair had horrible battery life. The second gen Samsung Gear IconX did better but the price tag was high at $200. Now, the Samsung Galaxy Buds are launching alongside the Samsung Galaxy S10 with a reasonable price, even better than the Apple Airpods. The Samsung Galaxy Buds are coming March 8th for $129. Google today opened the Google I/O 2019 Ticket Drawing for a chance to attend the annual developer conference. General admission is $1,150 with winners announced on February 28th. Similar to last year, general admission tickets cost $1,150 while the academic pricing is still $375. You have to be an active full time student, professor, faculty, or staff member at a high school or college to be eligible for academic pricing. Registration for Google I/O includes three full days of Sessions, Codelabs, Demos, App Reviews, Office Hours, admission to the After Dark reception, and attendance to the Keynotes. The ticket application period starts today at 10AM and closes on February 27th at 5PM PST. It involves listing your technical interests and detailing what you want to get out of Google I/O. Winners will be announced the next day. Google I/O 2019 starts on Tuesday, May 7 and runs until Thursday, May 9th at the Shoreline Amphitheatre in Mountain View, California. If you still haven’t got the OTA update notification, you can go to phone’s Settings > Software updates and tap on the Download Updates Manually. If you still don’t get it, then you can follow the instructions below to install Samsung Galaxy Note 9 Android Pie Update manually. The process below will not wipe any data. However, we still strongly recommend that you take a complete backup of all your data on the phone including the internal storage. Charge your Samsung Galaxy Note 9 to a sufficient battery level. This will help avoid any sudden shutdowns during the update process. Once you make sure your phone is on the latest Android Oreo firmware, you can follow the steps below to sideload the OTA and manually install Android Pie based One UI on your Samsung Galaxy Note 9. Download Android Pie based One UI OTA package for your Samsung Galaxy Note 9 from the download link above. Copy the downloaded OTA package to the root of the SD card (external storage). By ‘Root’ meaning outside all folders. Disconnect the device and power it off completely. Boot your Samsung Galaxy Note 9 into stock recovery mode (by holding power, volume down, and the Bixby button). Release the buttons when you see a blue screen with the Android logo. In stock recovery, use the Volume buttons to highlight “Apply update from SD card” and select the option using the Power button. Navigate to the SD card and select the Android Pie based One UI OTA update package. Finally, select “Yes” to install Samsung Galaxy Note 9 Android Pie Update (this takes about 15 minutes). When the sideloading process finishes, your phone will reboot automatically. When Google announced the Google Pixel 3 and Google Pixel 3 XL we learned all of the carrier bands they would support. Nowhere in the launch documents of FCC specs did it mention support for LTE Band 48, an FCC addendum made public today shows that the Google Pixel 3 and Google Pixel 3 XL will support LTE Band 48 via a software update. 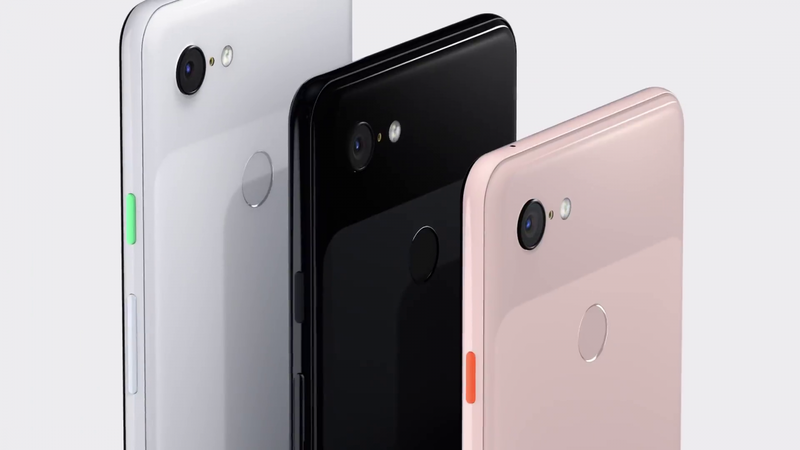 The model listed in the FCC addendum specifically stated this update will be pushed to the G013A variant, which is the international version of the Google Pixel 3. This is the version that is sold everywhere outside of Japan, so this includes the majority of the devices sold around the world. LTE Band 48 isn’t well known but it was also known as the CBRS Band. LTE Band 48 is 150 MHz of 3.5 GHz shared spectrum which has historically been used by the U.S. government for radar systems. 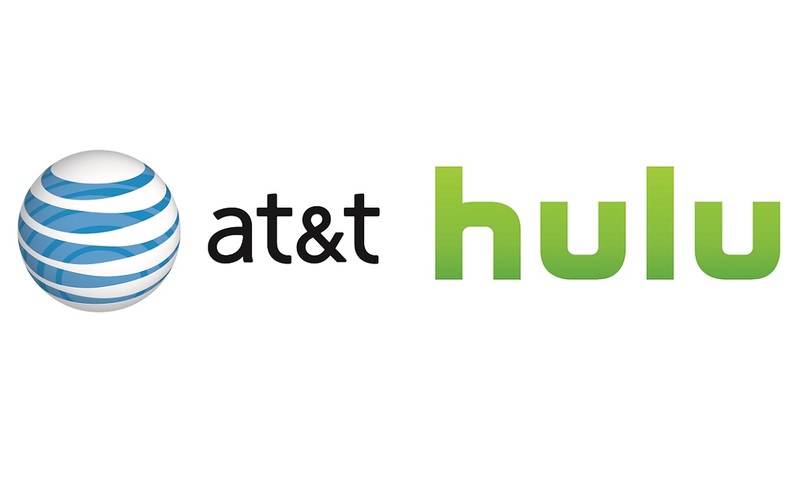 Their announcement back in 2017 was big news as it was the first use of CBRS band 48 spectrum in an LTE Advanced carrier aggregation demonstration. Federated Wireless has said they are providing its Spectrum Access System “to dynamically prioritize traffic” within the FCC’s spectrum sharing framework. Carriers in the United States have gone on record saying they consider the 3.5 GHz spectrum as a core band for 5G deployment around the world. It’s unclear when this software update will be pushed to the Google Pixel 3 and Google Pixel 3 XL, we will update you once additional information has been made available. 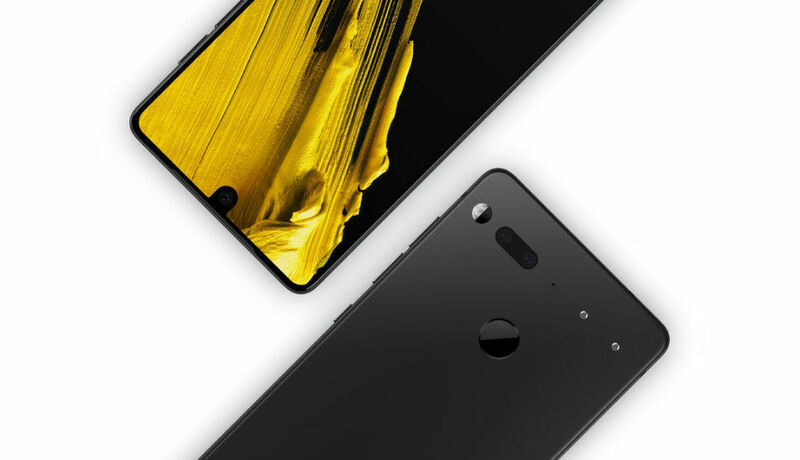 Essential Products confirmed that its first mobile device the Essential Phone, is no longer available. "We are sold out of Essential Phone on essential.com and won’t be adding any new inventory," said Essential in a statement provided to Droid-Life. "We are now hard at work on our next mobile product and will continue to sell accessories and provide speedy software updates and customer support to our existing community." The Essential Phone went on sale in the summer months of 2017. The high end Android device failed to resonate with consumers. In recent months the phone has been offered at a deep discount across the web and various sellers. Essential had a tough year... Executive Andy Rubin was forced to step aside for a short time after he was said to have received a $90 million severance package from Google despite claims of sexual harassment made against him. Rubin later rejoined Essential, but the company shifted gears and laid off staff amid the changes. Essential has not elaborated on what its "next mobile product" will be.